Aitor Karanka needs to be given time and financial help by Forest's owner, says blogger Dom Hynes. Nottingham Forest’s most recent search for a new manager has come to an end with the appointment of Aitor Karanka. 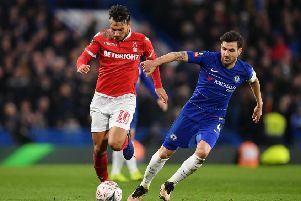 The Spaniard has signed a two-and-a-half-year deal at the City Ground and will be hoping that he can repeat the previous success he had in the Championship. Karanka first came into English football when he became the manager of Middlesbrough. The season before Karanka took control of Middlesbrough, the club finished 16th in the Championship. Karanka turned the club around and took them to the play-off finals in his first season before gaining promotion to the Premier League the following year. The situation that the Spaniard will face at Forest is very similar to the challenges he would have faced with Middlesbrough. It was Karanka’s excellent recruitment that gave him a massive boost towards promotion, bringing in the likes of Christian Stuani, Alvaro Negredo and Stewart Downing during his time with the club. However, Middlesbrough spent more than £24 million in the year that they went up, with most of the money going towards the £10.5 million signing of Jordan Rhodes from Blackburn Rovers. If Karanka is to be successful at the City Ground, he will clearly need strong financial backing from owner Evangelos Marinakis. If the club are truly passionate about making a push for the Premier League, Karanka will need to be given the required resources to climb the table. He will also be hoping for something that not many people who have been in the hot seat at Forest have been given, namely time. Dougie Freedman is the only manager of the last five to have more than a year in charge. Caretaker manager Gary Brazil has said that he hopes the club find some stability with the new man at the helm. If Karanka is given the stability and backing he needs, he can push Nottingham Forest back into the Premier League.